Springs-Apartment-Civil-Engineers BEA conducted a site and soil evaluation, surveying, engineering and permitting for a 21,000 gallon per day 72 onsite wastewater (septic system) serving a major Western NC camp facility. The well established summer camp serves over 1,000 campers per summer. 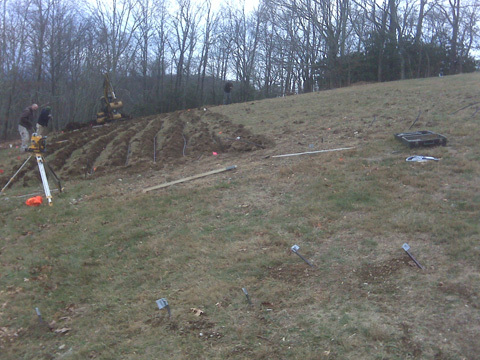 The project presented unique challenges with steep slopes and shallow soils for drainfield areas as well as inconsistent flows, thus requiring pretreatment and flow equalization. BEA found suitable soils to accommodate the large system, engineered and aerobic pretreatment system and permitted the system through Henderson County and the Division of Environmental Health. This was the first large drip dispersal drainfield permitted in Henderson County.